Terrific pics and great explanation. Thank you! Thanks Phil. Hope you have some luck seeing a few of these around. I Plan on trying them this autumn, any pointers as to where they grow? Hmm. Interesting read. The process of removing the toxins etc can be done but you never know how much is left. I know someone who had tried to eat these in order to get the psychoactive effects. It never worked. He just kept being very sick and he didn’t mention anything about the taste – I should have asked. 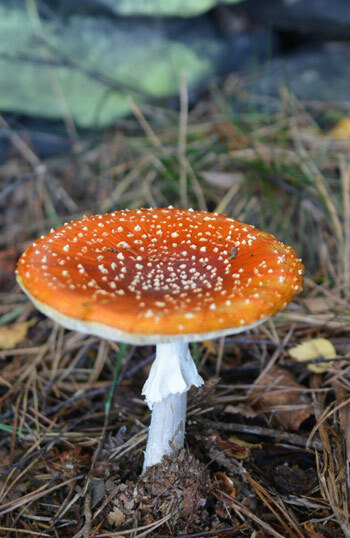 Late summer – autumn, Fly Agarics grow in and around woodland with pine and birch. Be careful with your culinary adventure. Let me know if the flavour is worth it. Me and a friend had half one of these a year ago not cooked. We will not die will we? Have you read/heard enough on them that would suggest not? Again, pretty sure im over-worrying/paranoid but I guess it’s just the fact they in same family as Death Cap and they can take a while to kick in. If they would have been fatal it would have happened much earlier? This the last message ill send about poisoning by the way I’m pretty sure I’ve had no other dodgy ones. …Its a shame, I’m really into mushrooms, have been for a couple years now but my carelessness along with reading certain things about possible poisonings has put the willys up me a bit and has even put me off them slightly now, but think I just need re-assuring that I’ll be ok. Maybe I need councelling more than anything, ha. I know you said you’re not a proper expert but be nice to just hear what you know at least. …I guess it’s the idea of something multiplying over time (similar to affects of Death Cap) that scares me. Hi Tom. You don’t need to worry. You will have to consume quite a few of these to become seriously ill (or anywhere close to death!). I know of people who’ve tried consuming them cooked and raw (in the hope of gaining some hallucinogenic effect), but only find they can’t keep them down and simply throw up! They’re still alive. Built up effects of poison mainly come from the Brown Roll-Rim (Paxillus involutus). The effects from poisonous Amanitas occur within 30mins – 2 hours and aren’t very pleasant (depending on which species, medical advice needs to be sought immediately). But you will get no more trouble from your small sample a year ago. Hope that eases your worries Tom. Do Fly Agaric mushrooms happen to grow in and around mosses? I am only able to find photos of them growing near trees and grass. To my knowledge (and my photo collection) I don’t think so (or at least its rarer). 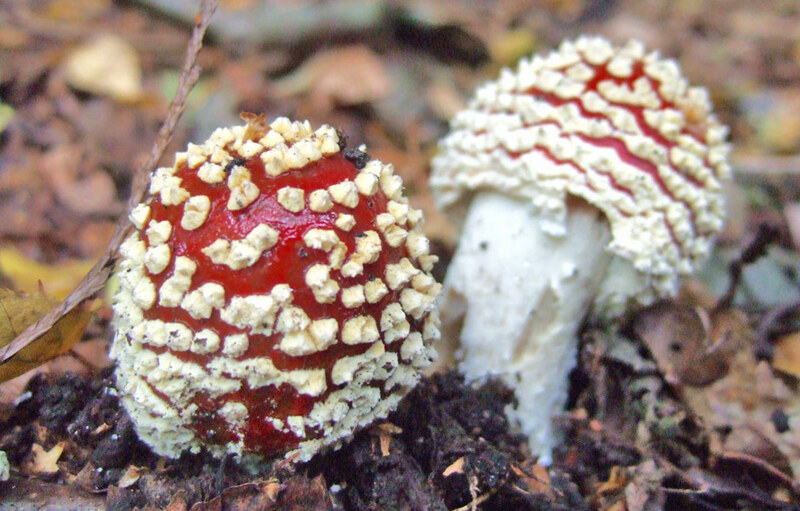 The Fly Agaric prefers acidic soil. Moss prefers acidic substrates rather than acidic soil itself. But let me know if you do see one in moss. Seems like an interesting challenge, so I’ll keep my eyes open. We found ours in woodland up in the lakes under trees (Christmas type tree). We are in the UK and take Liberties twice a year we happened to come across the Fly Agaric by accident. It’s the first time we have seen one in person. Didn’t know they grow here in the UK. Oh yes. They’re quite common and widespread throughout the UK. They mostly prefer growing near birch trees. We yesterday found a few of these, so we will try them this year. We were hunting for Libertys in our Welsh hills and found 3 Fly Agarics. I haven’t tried to be honest. A friend has tried cooking, eating raw etc but just ended up vomiting! You’d have to eat quite a large batch to be in mortal trouble. Some local villagers (Europe somewhere – not sure where) get their Donkeys (or was it horses?) to eat them, which I believe they are OK with, then hand around the animals urine afterwards. Nice! Sorry Lee. 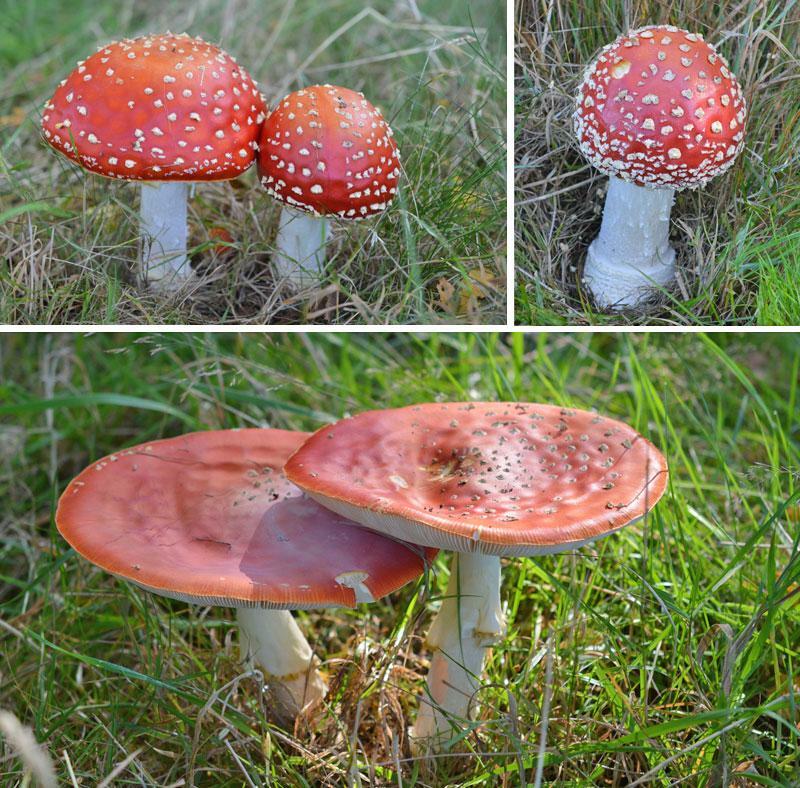 No chance of seeing them in January really, Fly Agaric’s always show up in late summer to autumn. I think Mushrooms are amazing, their nutrients, the way they grow, the history of Earth and how Fungi have produced over the millions of years, self sustaining and evolving in so many fashions. What I’m wondering is, now that we have a good summer, should that postpone the season or will it stick to the same cycle? Thank You for Your time. The hot and dry weather is certainly no help and many soil/grassland species in summer have failed to show in abundance (except the bracket fungi are doing well). However, the mycelium will be ready for the rain and begin to fruit in the normal timely manner, especially in the main season (Sep -Nov) – in fact it may be more fruitful than ever – just a theory though.